Henry Avocado Corporation is recalling California-grown whole avocados that may be contaminated with Listeria monocytogenes. 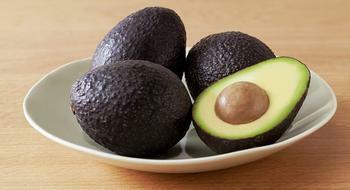 The recalled California-grown conventional and organic avocados were packed at Henry Avocado’s packing facility in California and distributed in Arizona, California, Florida, New Hampshire, North Carolina and Wisconsin, and sold in bulk at retail stores. The recalled products can be identified by the “Bravocado” stickers. Henry Avocado organic products do not carry the “Bravocado” label on the sticker. Instead those products are labeled “organic” and include “California” on the sticker. Customers who purchased the recalled products should not consume them, but discard or return them to the place of purchase for a full refund. Consumers with questions may contact Henry Avocado at (760) 745-6632, Ext 132.